Product prices and availability are accurate as of 2019-04-15 23:10:07 EDT and are subject to change. Any price and availability information displayed on http://www.amazon.com/ at the time of purchase will apply to the purchase of this product. Please check the ISBN that your instructor provided. If the ISBN-13 does not match this product (9781285053271) this may not be the correct product. In some cases, you may also require a course code from your Instructor. With powerful computer-based exercises, video demonstrations, lab simulations and in-depth remediation capabilities, LabConnection provides a uniquely integrated supplement to hands-on networking courses, and can be used both as a virtual lab and homework assignment tool. LabConnection supports Cengage Learning's textbooks, the corresponding certification exam, and offers remediation towards both. 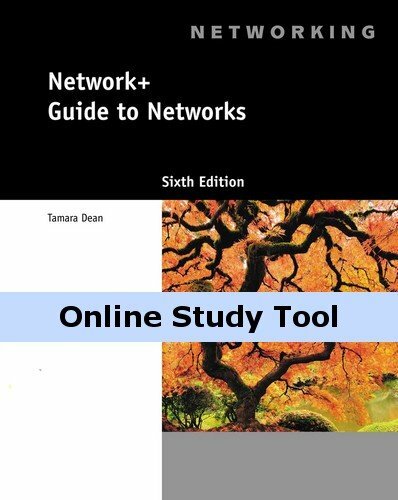 ISBN: 9781285053271 Access to this product is valid for 365 days after initial login. After this period, this product can be viewed under the "view expired" link in your CengageBrain account.